It is no secret that people have been paying more attention to health in the past decade. From the obesity epidemic to vaccinations, we are looking for solutions to many of these health problems. However, there are two things to note. The first is that we are not always looking for mainstream solutions and the second is that these health problems need not be outwardly physical. Indeed, alternative medicine for mental health issues is a growing market. From meditation to vitamins for stress, people search for these less conventional means of treatment. If you are reading this article, you are probably researching supplements for anxiety. The supplemental industry is a billion-dollar market, and, if you are researching these supplements, you probably would not know where to start. We are here to advise you on this matter, because we do understand the motivation behind proactively taking care of your health, including your mental health, in this day and age. 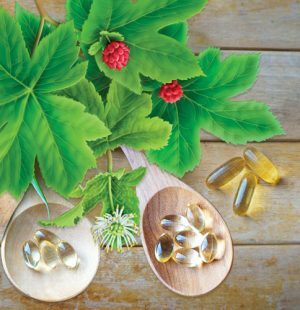 We also understand the appeal of noninvasive – usually – “natural” supplements. What Is Anxiety? What Are Its Causes and Symptoms? Do Supplements for Anxiety Really Work? Some time ago, I wanted to buy some sleeping supplements off Amazon. I did not necessarily have insomnia, but I was having a harder time sleeping than usual. I thought that maybe with a supplement, I would have an easier time falling asleep and also wake up more refreshed. I also wanted to find the best product independently – without the assistance of any third-party reviewers. If you have ever done this, however, you would probably know exactly how inefficient that is. It would not be immediately clear which product would be the best. A lot of the ratings average out to around 4.0 or 4.5 stars out of 5.0 – at least the ones I would find worth considering anyway. A lot of the user reviews would probably be helpful, but there would be no holistic way to compare the features of two or more products without spending inordinate amount of times researching. The cost of your time would probably outweigh the importance of your purchase in the first place. It does not really make much sense for individuals to do all this research for their purchases. It is much more efficient for professional reviewers to do all that research for people. The worry, of course, originates from people not knowing which reviewers are trustworthy and which are not. Who reviews the reviewers? That was the primary reason I wanted to do independent research on the purchase myself. There really is no blanket solution to assessing the credibility of reviewers in general. What we can do, however, is give you three reasons you should trust us when it comes to the topic of supplements for anxiety. The first reason is expertise. We have many people on our team who have a lot of understanding of this field. In particular, Dr. Christopher Sutton is a medical professional who has had a lot of first-hand experience in medicine and nutrition. The second reason is effort. We have spent over forty-eight hours searching for the best anxiety supplement. We looked at thirty-five products and selected ten finalists for this review. Our methodology will be discussed in total in the section “How We Picked and Tested”. We probably could not do an anxiety supplement review for every possible anxiety supplement out there on the market, but we have clearly looked at many of them. By no means do we pretend that everyone would agree with our conclusions, but we certainly hope that you see the time and effort that has gone into this undertaking and take it for what it is as you try to find what are the best supplements for anxiety for you. Anxiety is a state of emotion where someone feels nervous, fear, apprehension, or worry. According to Psychiatry-UK, anxiety features both mental symptoms and physiological symptoms. Mental symptoms include constant worry, irritability, deficient concentration, and forgetfulness. Physiological symptoms include rapid breathing, quick heartbeats, shaking, sweating, muscle tension, dizziness, faintness, indigestion, poor appetite, and diarrhea. In order to understand anxiety, however, we must look at how these mental symptoms relate to physiological symptoms. Does one cause the other? Three psychological theories of emotions offer explanations. The James-Lange Theory of Emotion asserts that physiological symptoms cause mental symptoms. Under this theory, an external stimulus, such as hearing the cry of a wolf, causes your heart to beat faster and for you to start shaking, all physiological symptoms of anxiety. You then begin to feel anxious, because your body is reacting anxiously. In other words, anxiety is caused by your body responding to the environment. The Cannon-Bard Theory of Emotion differs by asserting that emotions and physiological symptoms occur simultaneously. It offers two pieces of evidence to support this claim. The first is that physiological symptoms do not have a one-to-one correspondence with emotions. For example, a quick heartbeat may indicate that one should feel anxiety in the woods, but it may also merely be induced by exercise to that location. The second is that the speed of feeling these emotions do not always proceed these physiological reactions. For example, you may not have rapid breathing, shaking, sweating, or diarrhea as you see someone running towards you with a knife. You do certainly feel fear, however. Finally, the Schachter-Singer Theory of Emotion essentially combines these two theories. As a cognitive theory of emotion, it asserts that an individual does experience the physiological symptoms first. Unlike the James-Lange Theory, however, he or she then proceeds to think about the context of that situation and identify the proper emotional response. If you experience a racing heartbeat because the external stimulus is a bear staring right at you at a campsite, your brain would label the appropriate mental symptom to be worry as opposed to euphoria during exercise. In that sense, anxiety is caused by your mind interpreting your body’s responses to the environment. All these theories and more are exactly the topics psychologists, psychiatrists, and neurologists study all the time. A lot of contemporary research goes into how quickly the brain reacts to events, and some of it may be used to conclude that emotions may actually precede physiological responses. For example, researchers at Radboud University have discovered that your brain anticipates events exceedingly well, so much so that you anticipate events twice as fast as they actually happen. In other words, mental reactions may precede external stimuli, which of course precede physiological responses. This is hypothetically possible, because the mind has an extraordinary ability to imagine hypotheticals, i.e. getting hit by a ball in the face before it actually hits your face. Whatever the case, it is clear that researchers are focusing on the causes of emotions, which include those of anxiety, and there has been a lot of progress in this endeavor. There are many types of treatments for anxiety, and they really depend on the type of anxiety with which you are dealing. For example, if the anxiety is an anxiety disorder with a neurological etiology i.e. an imbalance in brain chemistry, medication tends to be the treatment of choice. For example, scientists have linked depression with a deficiency in the neurotransmitter serotonin. Nuphorin illustrates well the chemical formula for this molecule. A deficiency in serotonin also happens to be linked with anxiety disorders. To understand how medication would be able to treat this condition, you must have a basic understanding of neurotransmitters and by extension neurons. Neurons are specialized cells that send messages to and from the brain, and Khan Academy has a fantastic diagram that depicts its structure. Neurons are connected to each other at junctions called synapses. In order to send messages to and from the brain, an electrical signal called an action potential travels across an originating neuron. Once the action potential reaches the end of that neuron, neurotransmitters are released into the synapses, and those that bind to receptors on the second neuron trigger a new action potential to initiate. 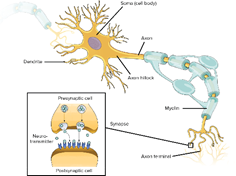 Those that do not bind are taken back into the first neuron in a process called “reuptake”. If we connect all these concepts together, one theory is that the reason depression and anxiety disorders are linked with low levels of serotonin is because the neurons that use that neurotransmitter are associated with those two conditions, and low levels of serotonin mean that action potentials have a harder time traveling across neurons. For that reason, those messages have a harder time getting to and from the brain. How have scientists tried to solve this issue? 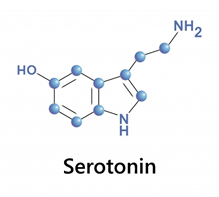 They have developed the selective serotonin reuptake inhibitor, or SSRI, a drug that, as the name suggests, slows down the reuptake process for serotonin. If you slow down the reuptake, concentrations of the neurotransmitter in the synapse increase and therefore leftover serotonin has more opportunity to bind to receptors and trigger an action potential. As witnessed, this treatment is highly in-depth. There are drugs other than SSRIs that change the neurobiology of a patient in a similar way as well. Although they are usually quite effective, because the mechanism is generally scientifically sound, these double-edged swords have some drawbacks as well. In being so effective, some patients may find them too invasive, causing unintended side-effects like addiction. The battle to find better medication certainly continues. Another treatment for people with anxiety disorder is therapy, which is certainly less invasive than medication. Most popular among therapies is probably psychotherapy, due to its association with Sigmund Freud. Patients speak with psychologists or psychiatrists about their problems, and the psychologists or psychiatrists try to get to the root of the problem. Another, more modern therapy is cognitive behavioral therapy (“CBT”), where psychologists or psychiatrists try to affect maladaptive thinking and behavior associated with triggers of the anxiety. One form of CBT is exposure therapy, where people are inundated with the stimuli that cause them anxiety. For example, if a person has a phobia of flying on an airplane, a psychologist or psychiatrist may put him or her in such an uncomfortable environment under controlled conditions. Eventually, patients should become habituated to the stimuli. Finally, for people who suffer from anxiety but not enough to have an anxiety disorder, there are methods to change one’s lifestyle to mitigate that anxiety. For example, many people have said that meditation and long baths are great ways to reduce anxiety. Of course, these methods are usually not scientifically tested, and that is important to note. At the same time, people who do not suffer from anxiety disorder but nevertheless want to manage their anxiety deserve advice on how to cope with it. That being said, are supplements for anxiety an effective way to deal with anxiety? We shall discuss this next. Do supplements for anxiety work? Well, the answer is probably what you expect. Some of them do. Many of them do not. To be able to separate effective supplements from ineffective ones, you really need a basic understanding of the scientific process. However, a lot of supplements in general do not have verifiable scientific research associated with them, and that may sometimes cause tremendous detriment. Before anything else, the fundamental feature of the scientific method as it relates to supplements is controllability. Let us say your friend wants to take one of your supplements to help them feel more energized throughout much of the day. In order to perform a harmless experiment for your curiosity, you do give your friend a pill, but it is just an identical-looking sugar pill instead. Your friend does begin to feel more energetic during the day. This sounds fantastic, until you begin to wonder how much of a purpose your supplement serves if a sugar pill could induce such a placebo effect. When it comes to prescriptions, the FDA puts those drugs through stringent experiments to determine whether these drugs have any effect above and beyond that of a placebo, as well as to detect any possible unintended side-effects as well. That type of infrastructure for research is not really present at such a scale for supplements, but the importance of such experimentation cannot be understated. One example of how lack of research has contributed to a wide-scale problem is omega-3 supplements. NPR recently featured a book written by Paul Greenberg that claims that omega-3 supplements are extremely harmful to the environment. People who like omega-3 fatty acids believe that they reduce inflammation in the body and therefore help our cardiovascular system. People also believe that more omega-3 fatty acids in the brain leads to faster brain processing. Whether or not any of this is true, the problem is that simply ingesting omega-3 supplements does not necessarily translate into creating omega-3 fatty acids where you need them in the heart or the brain. After all, we may not be evolutionary designed to ingest large doses of omega-3 fatty acids and should not expect them all to convert into something usable by our bodies. When controlled experiments were performed, and subjects were randomly assigned, these omega-3 supplements did not significantly perform better than the placebo. It does not seem to harm you though, so what is the problem? 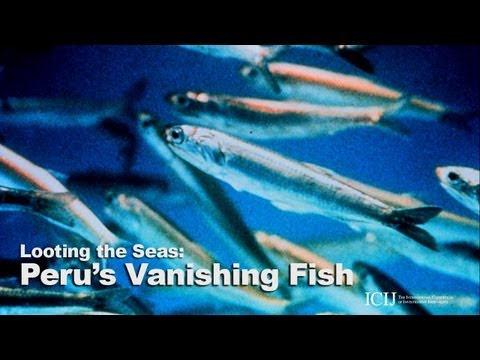 The problem is that most omega-3 supplements come from a fish known as the Peruvian anchoveta. These are closely related to anchovies, and, in some years, ten million metric tons of them are harvested. That is equivalent to one-eighth of all fish caught in the world. Ninety-nine percent of the Peruvian anchoveta caught are converted into omega-3 supplements. Although these supplements may seem harmless, they are not so harmless when you see that they contribute to the problem of overfishing in the world. That being said, what supplements for anxiety do work, then? Calm Clinic claims that kava, which is an herbal supplement, has evidentially demonstrated itself to be effective at treating anxiety, but it has also been linked to liver damage. Vitamin supplements are harder to gauge. For example, GABA is an amino acid that is believed to affect levels of anxiety, but – much like omega-3 supplements – it is not clear whether ingesting GABA as a vitamin has any significant effect. One theory is that it may not be able to cross the blood-brain barrier, so it would not be able to be used by the body effectively. There are so many supplements in general out there that it would be impossible to look at every single one of them. However, we do know a few things. It would not be fair to say that all supplements are purely placebos. It would also not be fair to say that all supplements work. Even if a natural ingredient has been demonstrated to be effective, you always have to consider the dosage levels as well. After all, from chemistry, we know that the more and more you dilute something by water, the more and more the substance has the characteristics of water than the other component. Supplements for anxiety are separated into three categories. The first are herbal supplements, the second are vitamin or mineral supplements, and the third are homeopathic supplements. Kava has been addressed as one form of herbal supplement, but another one would be the passionflower. Passionflower is far less potent than the kava, but it does not interact with alcohol as much as the kava. While WebMD does not report that the passionflower is linked with liver damage, it does state that loss of coordination, among other things, has been associated with the usage of this herbal supplement. We have also discussed GABA as a form of vitamin or mineral supplement, but another one would actually be magnesium. Calm Clinic claims that magnesium has been taken out from a lot of people’s diets in recent time. The chemical is associated with nerve health and blood health, so it is reasonable to suspect that deficiencies of the chemical would therefore be associated with anxiety, as it affects physical symptoms thereof. Finally, homeopathic supplements are in many ways the most unique sort of category for supplements for anxiety. Substances such as venom, arsenic, and nicotine are generally considered hazardous. What homeopathic supplements do is that they dilute those substances down until they become trace elements. Then, manufacturers put them in the form of gels and creams to be sold. The theory behind this process, as best we could explain it, is that, as the substance is being diluted, water retains a memory of the substance. So, when you apply a homeopathic supplement on yourself, you activate all the latent properties of that substance without the toxicity thereof. As mentioned in section “Do Supplements for Anxiety Really Work?”, it is important for any supplement to be scientifically sound, and, well . . . you can be the judge of that. Whatever the type of supplements for anxiety, they all try to achieve the same purpose. Funding for scientific research on these mechanisms would certainly be a great way for society to determine which supplements are truly effective and which ones are not. At this point, you probably have decided that you indeed do want supplements for anxiety. However, how do you decide which ones are the best for you? That is entirely the point of this article, and here is the methodology we have used to answer that question and advise you. The first step was that we aggregated over twenty thousand user reviews of supplements for anxiety to determine what features were important to and expected from users. These features became the basis for our shortlist criteria. Our shortlist criteria will be used to determine the semifinalists in the third step. The second step was that we found thirty-five different supplements for anxiety across twenty-five different brands and researched them. We determined how those products performed in each shortlist criterium by visiting their websites, reading their product descriptions across different retailers, and evaluating user reviews specifically for that product. Those evaluations allowed us to do tabulate all these products with their relevant features. The fifth step was that we compiled both the shortlist criteria and the independent criteria to determine what were the best supplements for anxiety. It was surely no easy task, but not for want of information. We take no responsibility for any effects or side effects from these recommended supplements for anxiety. For anything you put into your body, especially supplements, it is absolutely critical that you read and understand any and all warning labels on the product, including the packaging and leaflets. We ourselves must be mindful of these considerations for our volunteers. These considerations not only include the stated side effects but also the dosage. If you take more than the intended dosage, that could have a deleterious effect on your health for which the manufacturer would probably not be liable. “Consult a doctor before using this product; and if you’re nursing/lactating, pregnant or are taking any other medications, or suffering from any specific medical condition. If the seal is found to be broken, do not use the product. 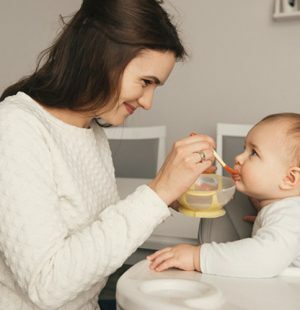 Keep the product and all other supplements away from any children’s reach. As general knowledge, however, it is unwise to treat any supplement as a surrogate for food. Generally, no manufacturer intends any supplement to perform that function. If manufacturers say they do, pay careful attention to them. Also, in addition to supplements for anxiety, there are other forms of supplements as well, such as dietary supplements. Some common ones contain proteins, amino acids, essential fatty acids, and probiotics. Due to the nature of supplements for anxiety, all such products come with side-effects, which may vary in number and severity. We have selected our products fully cognizant of the importance of analyzing these side-effects for our readers. That being said, side-effects tend to be reported subjectively. Now that you have a better understanding of the benefits, risks, and uses of supplements for anxiety, we can jump into our review of these supplements. The analysis of multifarious features helped us produce this list of finalists. We have taken these features from the product manuals and specification sheets. In addition, we have also considered the pricing as well, in order to determine the best bang for your buck. As clarification, we also looked at review frequencies to determine which products we encountered may be obsolete. If one product gets five reviews in a month but another product gets one review in five minutes, we may suspect the latter to be outdated. As a result of our lengthy and thorough research procedure, we are confident in providing accurate reviews of the top supplements for anxiety in 2018. We have compiled all of our source data into one detailed document. Price $21.04Prices are accurate as of April 21, 2019 at 04:47 AM. Product Prices and availability are subject to change. Any price and availability information displayed on Amazon at the time of purchase will apply to the purchase of any products. 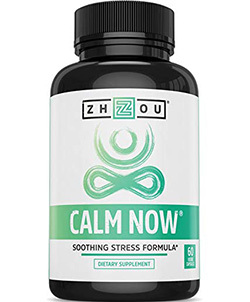 This is our choice for the best of the supplements for anxiety, and researching the manufacturer, Zhou Nutrition, has already yielded interesting results. The manufacturer’s facility is actually registered with the FDA. That means that the manufacturer allows FDA inspectors to enter those facilities and investigate them. Not many manufacturers for supplements for anxiety opt to do this. In the product description, the advertisers market that this supplement should not make you drowsy or sleepy, and our volunteers do confirm that assertion. Each dose also lasts four to six hours, but some of our volunteers have actually reported it lasting ten to twelve. This supplement uses a combination of natural roots & powders in combination with potent B vitamins to boost mood & eliminate stress symptoms. With an FDA accredited manufacturer, they’re super effective too! From our research and testing, we have observed three benefits from using this product. The first is that it does indeed keep us calm and focused. The second is that it also has helped us stay more positive and social. The third is that Zhou Nutrition has expertly crafted this product. There are testimonies about how intricate the design behind this product is, and that is to be expected from a manufacturer that willingly lets the FDA inspect its workplace. That being said, there are some possible side-effects as well. The most jarring is that there is a rather nasty aftertaste to this pill. You cannot really get around that. Some of our volunteers have also reported having headaches after ingesting this pill. Take 2 capsules after a meal with water once per day. Or you may consult your healthcare professional and follow his directions for consumption. Why Is This Our Favorite Supplement? There are 5 five reasons we have chosen this supplement to be our favorite. The first is the product’s effectiveness. It reduces anxiety without making you sleepy. 82% of our volunteers gave this product a positive review regarding its effectiveness, which was extremely high. This rating normalized to five out of five stars. The second is that this product has the highest number of reviews on Amazon and a high review frequency. In no way is this product obsolete. The third is that, when you compare the price per dose and the effectiveness, this product gives a great bang for your buck. The fourth is that we do appreciate how this is the only supplement on our list that attempts to combine Western science with Eastern herbal tradition. Finally, the fifth is that, when we consider all these factors, this product normalizes to a total score of 9.7 out of 10. This product simply has strong fundamentals that stand against the competition without falling. Price $29.99Prices are accurate as of April 21, 2019 at 04:47 AM. Product Prices and availability are subject to change. Any price and availability information displayed on Amazon at the time of purchase will apply to the purchase of any products. Your eyes may naturally be drawn to what we have chosen as the runner-up. The first thing you would notice about the manufacturer LES Labs is that, as its name suggests, it really prides itself on being scientifically-oriented. Its website even asserts, “Science guides our approach to creating our products – not the fad ingredient of the month.” If you look at what it says this particular product is intended to do, LES Labs certainly seems like it is following through with this approach. 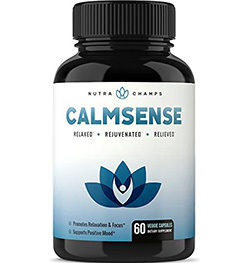 By promoting the amount of the hormone cortisol within the body, these supplements can help skirt around the body experiencing a stressful response; meaning you can keep calm. Unlike a lot of supplements for anxiety, this product tells you exactly how it would change the biochemistry of your body. 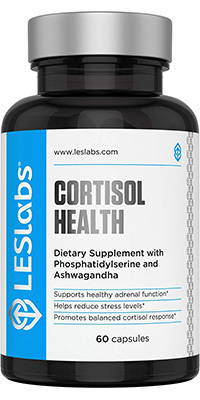 In particular, LES Labs intends for this product to control levels of cortisol. 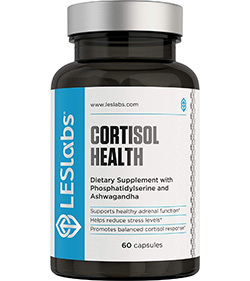 Cortisol is a hormone released during times of stress, so the theory is that, if you regulate those levels, you would be able to regulate stress and by extension anxiety. We cannot really test whether this mechanism is biochemically performing what it says or not, but our volunteers do certainly report feeling more relaxed. With no explicit side-effects and an excellent positive-to-negative review ratio, we have normalized the ratings for effectiveness of this product to five stars out of five. This product also provides good value when compared to its price. This product also has the second highest number of Amazon user reviews after our first choice. The ratings are a comparatively good at 4.5 stars out of 5 at the time of our research, and a very good review frequency suggests that this product is certainly not obsolete. All these factors having been considered, we rate this product a 9 out of 10. There are a number of benefits to this supplement from our research and our testing. The first is that it does certainly seem to regulate cortisol levels, which is indeed released during stressful situations. The second is that it does support healthy adrenal function. The third is that it does support relaxation and reduce stress. Finally, the fourth is that it does use natural ingredients – in particular non-genetically modified organisms. This issue is certainly at the forefront for some people. However, there are two downsides. The first is that you do get headaches from it. The second is that it does not really do anything to improve your sleep. Take one capsule before sleep or as directed by a physician. The dosage may be increased to two capsules during periods of unusually elevated stress. LES Labs has manufactured another product, and it seems to be just as scientifically-oriented as the previous product. Although this product does not deal with cortisol levels like the runner-up, this product certainly deals with biochemically in-depth chemicals as well. Just from what our volunteers report, there is a lot of benefit to this product not inducing sleepiness, much like our first choice. By utilising a variety of roots & herbs these supplements are perfectly formulated to help improve mood & energy levels, helping you be the best version of yourself, & avoid stress-related meltdowns. There are four benefits to ingesting this supplement. The first is that it does seem to promote positive mood, which is probably a result of the 5-HTP primarily. The second is that it does indeed seem to be a stress-relieving herbal blend. 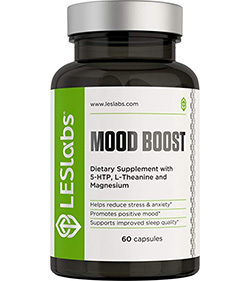 The third is that the ingredients for this mood supplement are natural and non-GMO. The fourth is that this product emphatically has a drug-free formula. Unfortunately, two possible side-effects is that some volunteers report headaches, and the product does seem to cause dry-mouth. Take one capsule once or twice daily or as directed by a physician. There is not actually much information about the manufacturer Nature Driven for this product. The manufacturer also produces appetite suppressants for women. 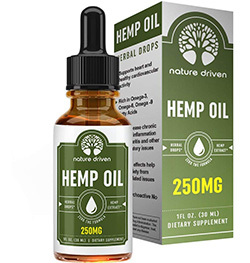 Unlike the other products hitherto, however, this supplement is liquid in state and therefore must be used with a dropper. If you take a drop once a day, the product should last twenty to thirty days. Hemp oil is usually used to treat mild pain & even insomnia, but some find its calming effects to even help treat anxiety. With such comprehensive benefits, hemp oil had to make our top 10. Our volunteers have discovered three benefits for this supplement. The first is that this product does induce pain relief, which may be primarily an effect of the hemp. The second is that it does genuinely seem to combat anxiety quite well. The third is that it does seem to help with a better night’s sleep. One user review on Amazon at least seems to corroborate our report by saying that this product has induced the first full night’s sleep this person has had in quite a long time. Most notably, we have not found any negative side-effects. Take one to two drops daily or as recommended by a physician. There should be thirty drops in total with a two-thirds dropper. Price $18.75Prices are accurate as of April 21, 2019 at 04:47 AM. Product Prices and availability are subject to change. Any price and availability information displayed on Amazon at the time of purchase will apply to the purchase of any products. In many ways, the manufacturer for this product is the most interesting out of any on this list. Nested Naturals claims that its team members originate from several backgrounds associated with extreme fitness: climbers, snowboarders, kayakers, and yogis. 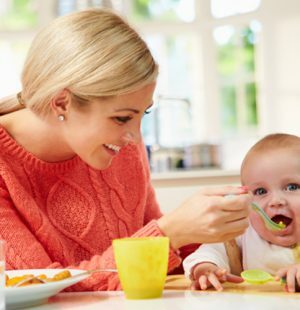 Although they focused a lot of attention on their diets, they found that, no matter what, they could not reach their health goal of consuming certain nutrients they find to be essential. For that reason, they turned to supplements. However, they were shocked to find what they said was an industry riddled with, “lack of transparency and dishonesty.” All this and more eventually became their motivation to begin this venture to start their own company that produces supplements for anxiety, among other things. To ensure that they do not fall into the same problems as much of the rest of the industry they criticize, they opt to have third-party testing for their products. These efforts certainly seem to have generated positive results according to our volunteers. With third party lab testing, this product has been clinically tested & proven to be effective. It promotes serotonin through 5-HTP & alleviates the symptoms behind anxiety as well as depression. There are four emphatic benefits to this product. The first is that, as mentioned, it naturally increases serotonin levels in the brain. The second is that it does improve sleep. The third is that it does ease you into a calm and relaxed state. The fourth is that it does help fight depressed and anxious moods, probably because of that increase in serotonin this product triggers. Surprisingly enough, we have found no side-effects. 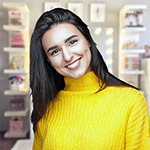 Price $59.99Prices are accurate as of April 21, 2019 at 04:47 AM. Product Prices and availability are subject to change. Any price and availability information displayed on Amazon at the time of purchase will apply to the purchase of any products. 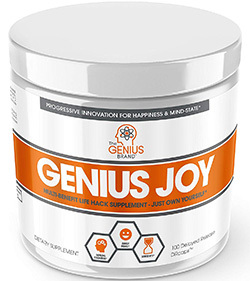 Much like some of the other manufacturers, the Genius Brand was motivated to enter into the industry for supplements for anxiety due to its beliefs about the dishonesty of this industry. It even says at one point on its website that “Your favorite supplement company is probably owned by a convicted steroid dealer and employs his motley crew of questionable characters turned sales team.” This company certainly has a much more aggressive approach to competing than other manufacturers we have found to date. Does that translate into quality in its products, though? Seemingly, yes. This product is certainly a lot more ambitious than a lot of products on our list, because it claims it can replace antidepressants, i.e. actual medication. Any product that makes such a claim deserves much higher scrutiny due to potential dangers in replacing medication, but it does certainly seem like this supplement has delivered for our volunteers. Is it enough to replace an actual medication? You really have to consult a medical professional for an opinion, but the product is definitely in and of itself effective. These capsules are so effective that some use them as a medicinal substitute, they effectively promote better mood through a complex mix of herbs & vitamins; with a drug free formula they’re ideal! There are five benefits to this supplement our volunteers assert. The first is that it does improve cognitive functioning, which includes being able to focus on things around you. The second is that it does seem to clear brain fog, which is the haze of perception people sometimes get after incurring excessive stress. The third is that it presents a natural approach at tackling symptoms of depression and anxiety. The fourth is that it includes a natural dopamine stack with relief for anxiety. The fifth is that this product contains vitamins for stress relief and wellness. Unfortunately, some people have complained about headaches. Take one dietary supplement capsule when you’re on an empty stomach after waking up. If you’re feeling comfortable before lunch you may take an additional serving while on an empty stomach. Continue this routine for three days to assess your tolerance. If you are developing a tolerance to it, increase your optimal dosage to two capsules upon waking up and two capsules on an empty stomach in the afternoon. For best results, continue for 60 days. Price $19.95Prices are accurate as of April 21, 2019 at 04:47 AM. Product Prices and availability are subject to change. Any price and availability information displayed on Amazon at the time of purchase will apply to the purchase of any products. This supplement is another product produced by the Genius Brand, which, as demonstrated by our discussion of number 6, has a much more aggressive approach at marketing itself than other brands. In this case, they have opted to have third-party companies test the product for heavy metals, efficacy, and mycotoxins. 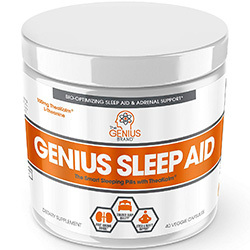 Obviously, the emphasis on this product is more on sleep than anxiety, but, if people with sleep problems get better sleep, that may also improve any problems they have with anxiety. If your anxiety tends to spring up at night, these capsules may be just the thing. With non-addictive ingredients you’re not going to be dependent on these capsules despite the drugs involved. There are some notable benefits with this product. The first is that it really does get you to fall asleep faster and feel more restored upon waking. The second is that, as mentioned, the ingredients have been carefully designed not to induce dependency. The third is that it helps combat adrenal fatigue and overcaffeination. However, some people have complained about headaches – which seems to be a thread between the two Genius Brand products. As a dietary supplement, take two capsules thirty minutes before bed. This product is best when taken five nights per week; i.e., two days without it weekly. Price $16.59Prices are accurate as of April 21, 2019 at 04:47 AM. Product Prices and availability are subject to change. Any price and availability information displayed on Amazon at the time of purchase will apply to the purchase of any products. Physician’s Choice is a manufacturer that really brands itself as having fealty to the scientific method. 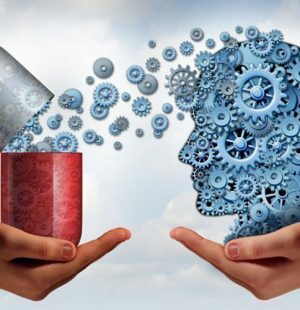 In particular, it promises to produce supplements for anxiety with only ingredients that are, “clinically tested.” As has been extensively discussed, clinical trials mean scientific experiments that include the feature of controlling for the placebo effect. 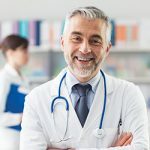 This company does utilize third-party testing as well, so it certainly seems to take the scientific aspect of supplemental production seriously. One key aspect of this product for many people is that it is extraordinarily adaptogenic. In other words, it gives you chemicals more if you lack them, and it gives you chemicals less if you have a surplus of them. These capsules make full use of the ashwag&ha root, as well as black pepper, to promote better neurological activity & combat the symptoms of anxiety & even support the thyroid & adrenal system. There are some notable benefits of this product. The first is that it has successfully relieved stress and anxiety. The second is that it includes full adrenal support. The third is that it does include thyroid support as well. However, some people have complained about headaches. 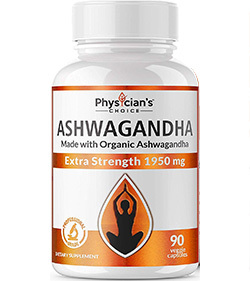 As a dietary supplement, take three veggie Ashwagandha capsules once daily. Repeat the process every day. Price $15.85Prices are accurate as of April 21, 2019 at 04:47 AM. Product Prices and availability are subject to change. Any price and availability information displayed on Amazon at the time of purchase will apply to the purchase of any products. The manufacturer WellPath is another one that asserts that it follows the scientific method trustfully. It aspires to bridge the gap of impersonal business handling in the modern age between customers and producers by focusing on producing its products with a high degree of scientific understanding. That being said, the efficacy of this product does seem to depend on the individual. Some volunteers report feeling the effects of this supplement right away; others say that it takes a week or two to begin to feel the changes. 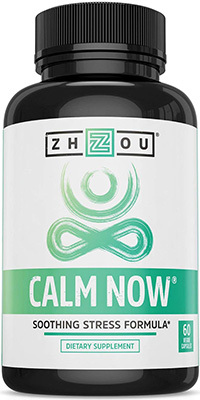 With a scientifically engineered formula combining herbal roots with mood boosting hormones, this supplement effectively ensures mood boosting benefits & a clearer mind – meaning less stress & more focus. 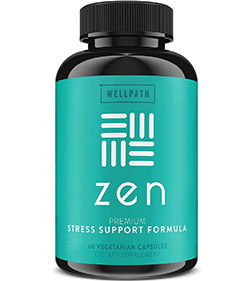 WellPath certainly seems to have succeeded in producing a supplement that does indeed reduce anxiety and promote relaxation. It also helps people stay focused, and we have not found any side-effects. Take two pills daily with a meal or as directed by a healthcare professional. Price $21.02Prices are accurate as of April 21, 2019 at 04:47 AM. Product Prices and availability are subject to change. Any price and availability information displayed on Amazon at the time of purchase will apply to the purchase of any products. 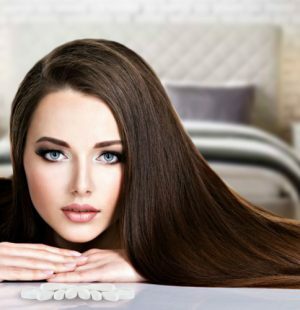 NutraChamps certainly tries to give the impression to its customers that its products have been made with a lot of personal care put into them, and, to an extent, it does try to back that claim with tangible steps. Its products are third-party tested, which is always good to hear. It is also Good Manufacturing Practice (GMP) certified. Our volunteers certainly believe that it does a lot of things it says it does. These supplements are manufactured in GMP approved facilities & are tested in third party labs to ensure effectiveness. Using a wholly natural formula of vitamins & herbs they’re a gentle way to relax. 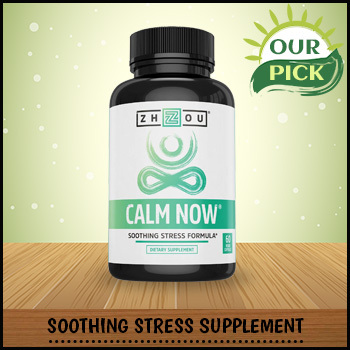 This product supports positive mood, promotes relaxation and focus, relieves anxiety and stress, and calms the body and mind. There are also no side-effects we have found. Take two capsules daily or as directed by your healthcare professional. Although here at Supplemania we have addressed a motley of products, some common features should remain clear. No one could deny that the supplemental industry has so much competition right now. Supplements for anxiety are one part of it, but they are becoming a big part of it, as more and more people want to transition from medication to more natural means of managing mental conditions. The efficacy of that transition is not always so clear though. You probably have also noticed that there are certain ingredients that are present in a lot of these products. 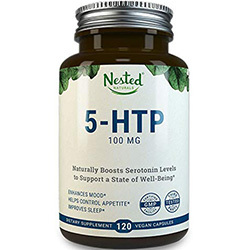 You have probably heard about ashwagandha more times than you could count, and 5-HTP definitely stands out for purporting to be as effective as SSRIs, a medication. The problem with all these products though is that, even if they say they are third-party tested, you are not the one really seeing those results. Who are these third parties testing these products anyways? What is their credibility? In a sense, questions like these can continue on forever. 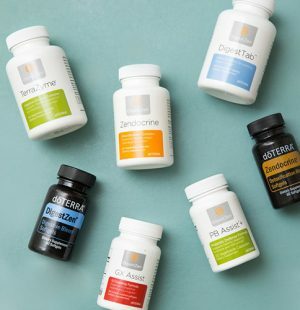 If you want to be proactive about researching these products though – and there is good reason for people to be vigilant in this era – although you are not going to be able to see the tests conducted on these supplements individually, you would certainly be able to find scientific literature on the ingredients that are used in a lot of these products. Maybe a review of that literature would be a nice article in itself.